More detail and purchase by invoice can be found here. The double helix, the genetic code, jumping genes, the PCR technique, the human genome project, RNA interference ... These and hundreds of other important advances in biology were announced, debated, and distilled at the Cold Spring Harbor Symposia. These meetings, held each year on tranquil grounds of one of the world's leading research institutes, have been notable events in biomedical research since 1933. Now this essential archive, dating from 1933 to 2003, is going online. 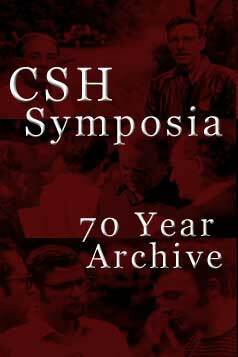 Learn more about the CSH Symposia Online Archive by visiting the Symposia website.